“Patients ask me sometimes if I can just put a filling on where tooth is broken. 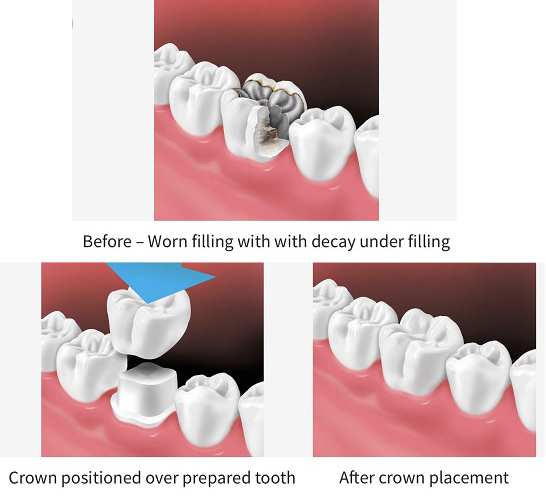 I understand that there’s big difference in price between crown and regular filling and I try my best to repair the tooth with regular filling if I can. However, the remaining tooth may break further if I just put a filling where there’s not enough tooth structure left to hold the filling. I do full exam, take intra oral photograph to show patients what they need. I don’t force patients into certain procedures but I present all the possible treatment options to patients and have them choose one with my guidance.